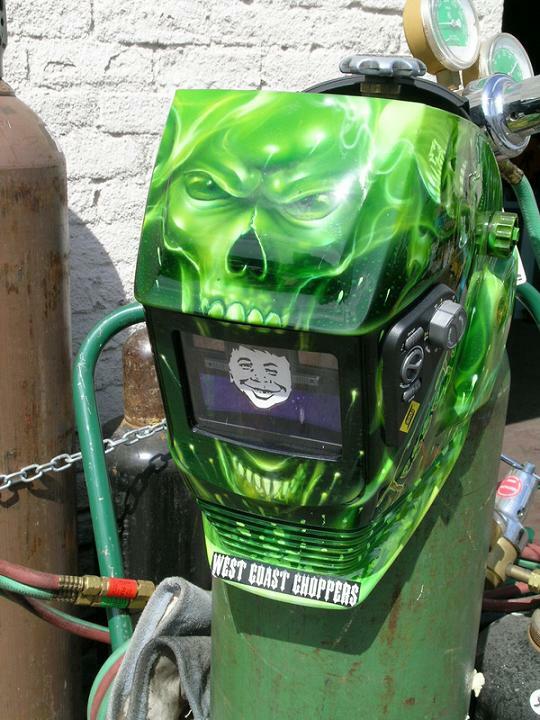 12 Most Creative Welding Helmets. Welding is one of the most dangerous professions and requires protective gear like welding helmets and gloves to stay safe at work. 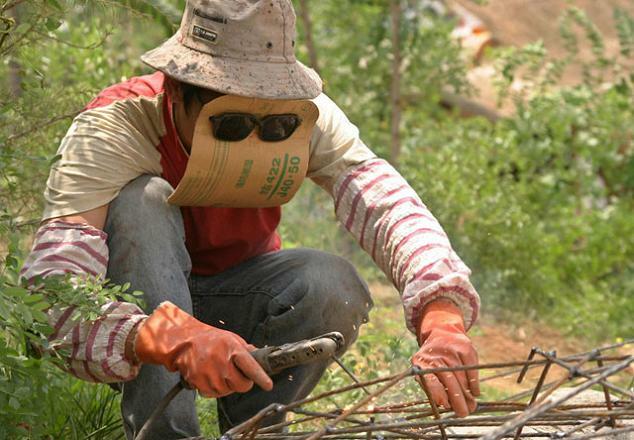 Apart from safety, these welding helmets need to feel comfortable when working. Most of the brands got you covered when it comes to these, but what about the looks? Just Google it and search, and you will find numerous products but none are fun. 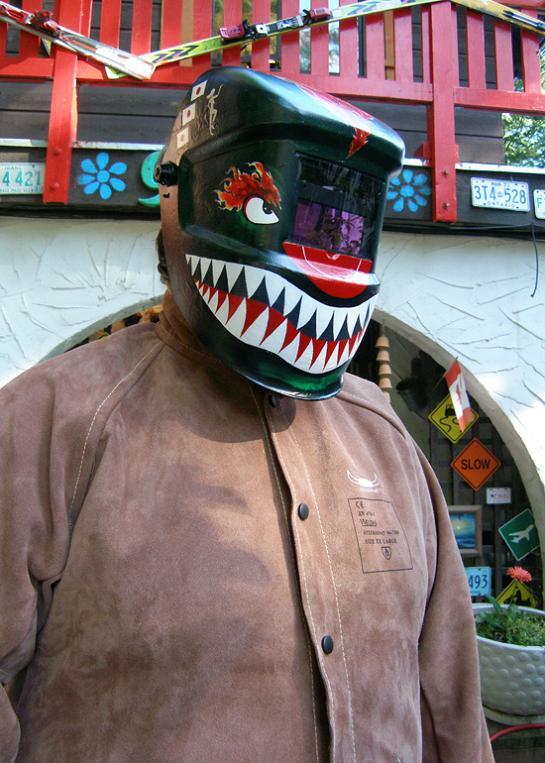 Why can’t the welding helmets be fun and creative? 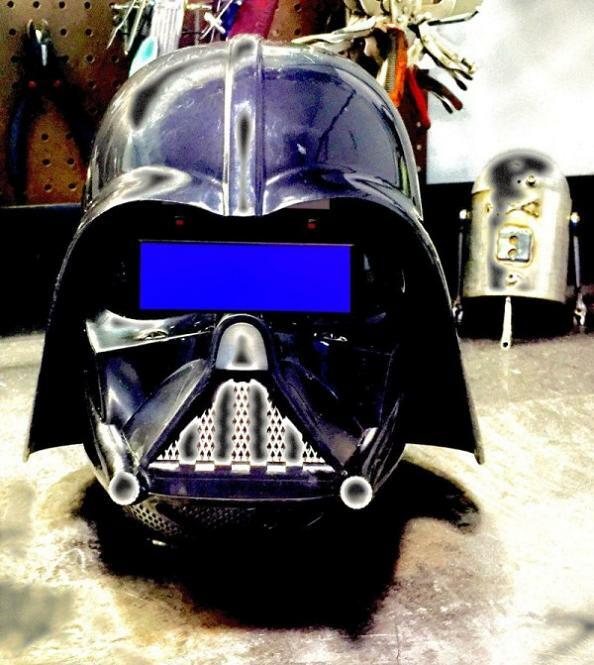 We give you a different take to these boring welding helmets with our collection of the most creative and fun welding helmets. Flying Tiger Welding Mask: This welding has a hand painted flying tiger that makes it a bit scary for the kids to look at. 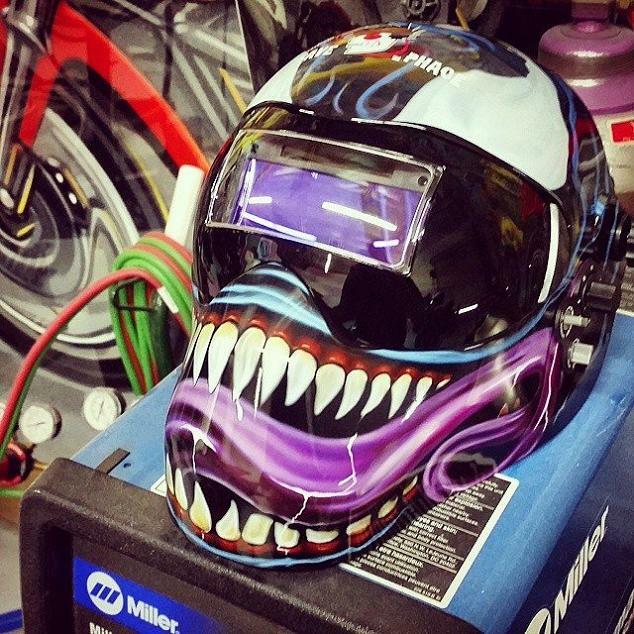 Venom Welding Mask: The Venom Welding Mask features some awesome graphics apart from the usual needed technical things like it’s a welding helmet, grinding mask and splashguard all in one. It features a 180-degree lens design for perfect peripheral vision, auto-dimming lens with grind mode and adjustable shade, delay and sensitivity and 9 point adjustable headgear. 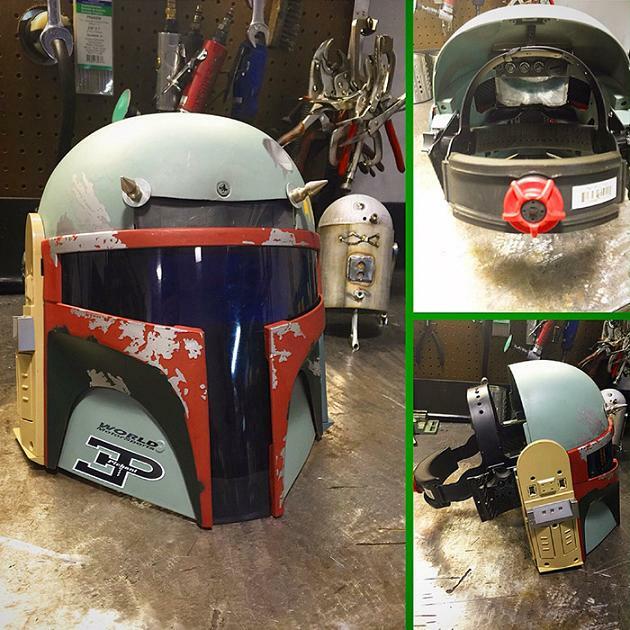 Boba Fett Welding Helmet: You know Boba Fett right? 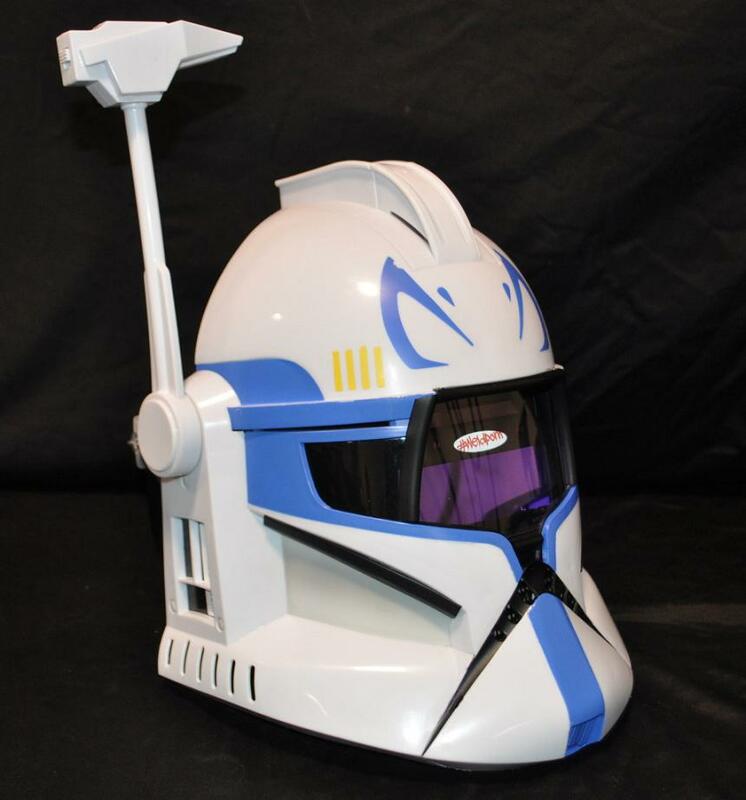 From Starwars? Yes, he is the one who works for the dark side; was given a special task to get Han Solo. When Boba Fett needed to weld his spacecraft, he would need a welding helmet and the one we have here seems to be the obvious choice. 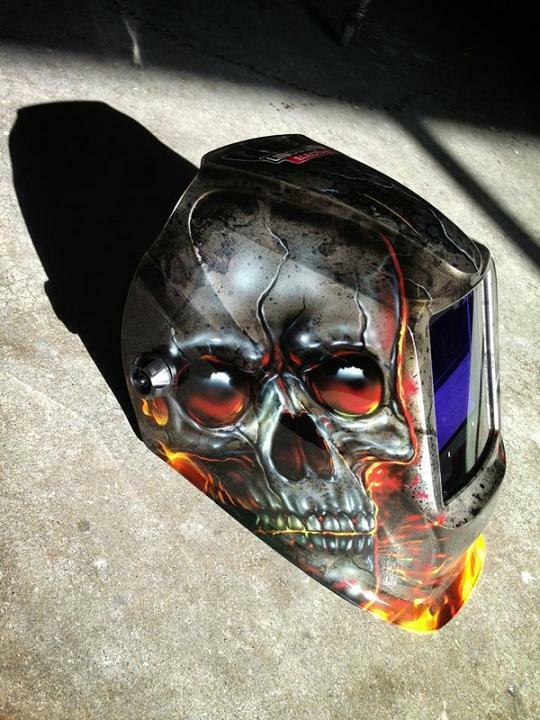 Airbrushed Welding Helmets: These awesome airbrushed welding helmets come from Killerpaint, Airbrush Studio. 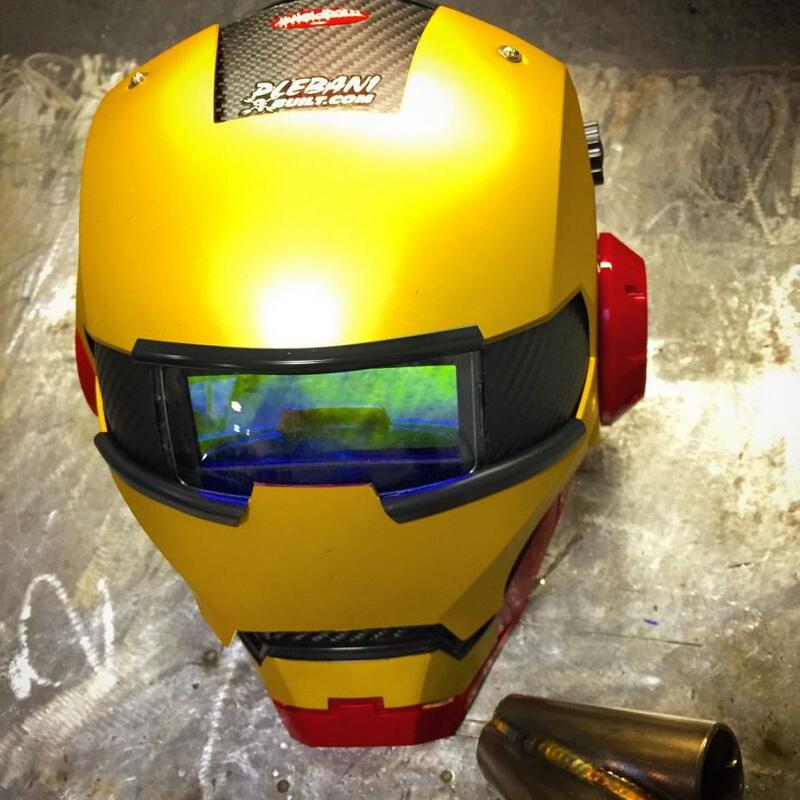 Customized Welding Helmets: These super cool welding helmets come from Plebani Built, they are into building customized cars and other pieces for their clients and themselves. 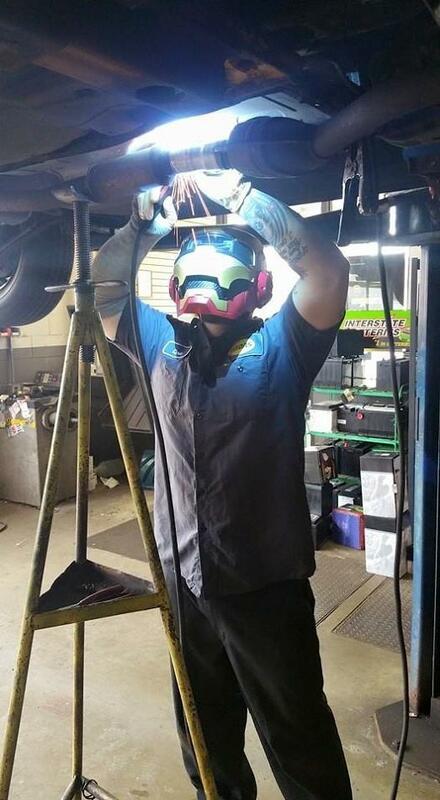 And one good example is the Iron Man welding helmet in action. This one and the next two helmets, we aren’t sure whether its welding helmets or not, but if these are, then these make a super cool addition. 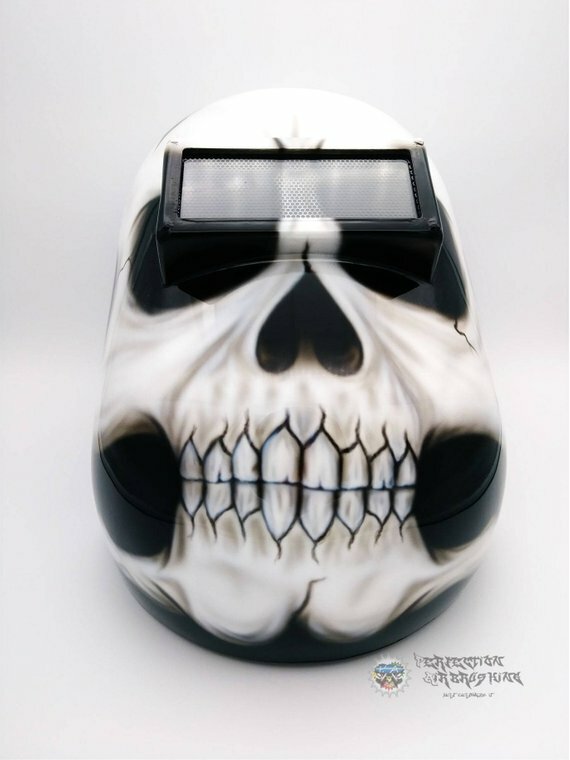 Customized Airbrushed Welding Helmet: This welding helmet is airbrushed by hand and is made to order. 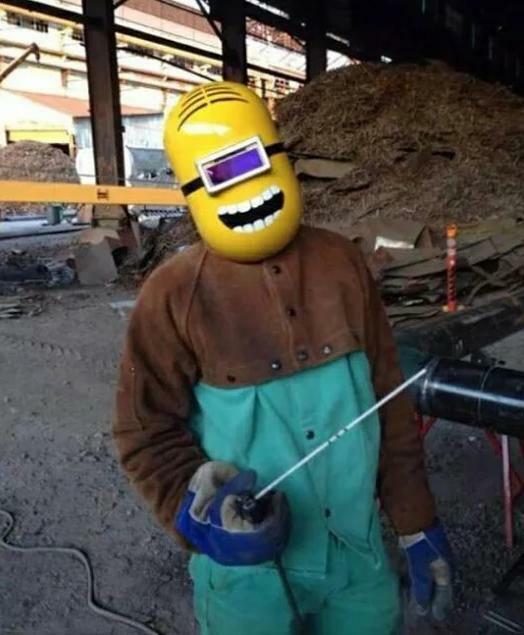 Minions Welding Helmet: Remember Minions, the small yellow guys with their unique language and childish behavior from the Despicable Me franchise? These guys always make you smile. Homemade Protective Mask: We got nothing to say on this one, we pass.